There is one plant that absolutely is the flower of the South: the crape myrtle. Who can resist the colorful flower clusters on display from early summer through late fall? The spectacular flowers are actually large panicles, or branching clusters composed of many small flowers. These panicles can be more than 8 inches long, and colors range from white, to shades of pink and purple, to rich reds. There are even bicolor flowers like my favorite Pink Peppermint. It seems there is controversy everywhere these days, and the garden is no exception. Sides form up over whether you spell the plant’s name “crape” or “crepe.” The small flowers do have a crinkled edge resembling crepe paper, but regardless of how you spell it, you need this flowering tree in your Mississippi landscape. Crape myrtles have other outstanding ornamental and aesthetic qualities. As the trees mature, the bark begins to peel or exfoliate, revealing inner bark colors ranging from gray-green to dark cinnamon-red. The leaves also change color, as the solid-green summer foliage transitions to a bright red-orange in the fall. 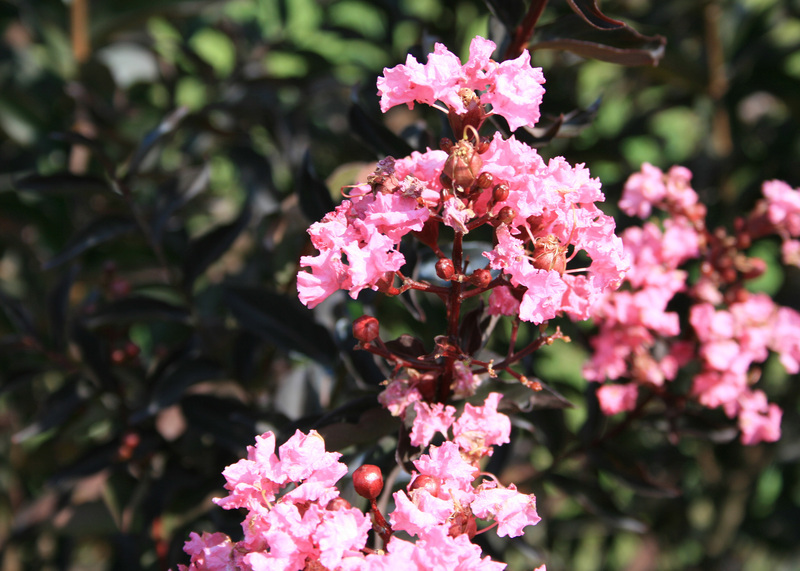 There seems to be a bazillion varieties of crape myrtles on the market, and more are introduced every year with an emphasis on burgundy and even black leaves. 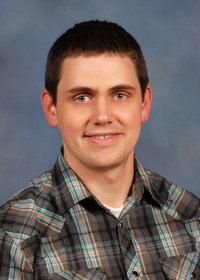 One I’m excited about was developed at Mississippi State University: Delta Jazz. This variety was one of the first to have unusual dark foliage. It emerges rich raspberry-maroon and then matures to dark mahogany brown. This foliage color accents the clusters of medium-pink flowers in late summer. Delta Jazz makes a fantastic landscape feature plant either pruned to tree form or allowed to grow as a large landscape shrub. Mississippi State has developed five more new varieties, so be on the lookout for these in the future. Since this week’s column is about crape myrtles, I need to address the incorrect pruning practice known as crape murder. This happens every spring where someone hard prunes their crape myrtles back to the trunk or a major branch. Crape myrtles are extremely resilient, and since they bloom on the current season’s growth, the bad pruning mistakes are soon glossed over. This heavy pruning is usually used to control size and shape, but in fact, it destroys the tree’s natural form. 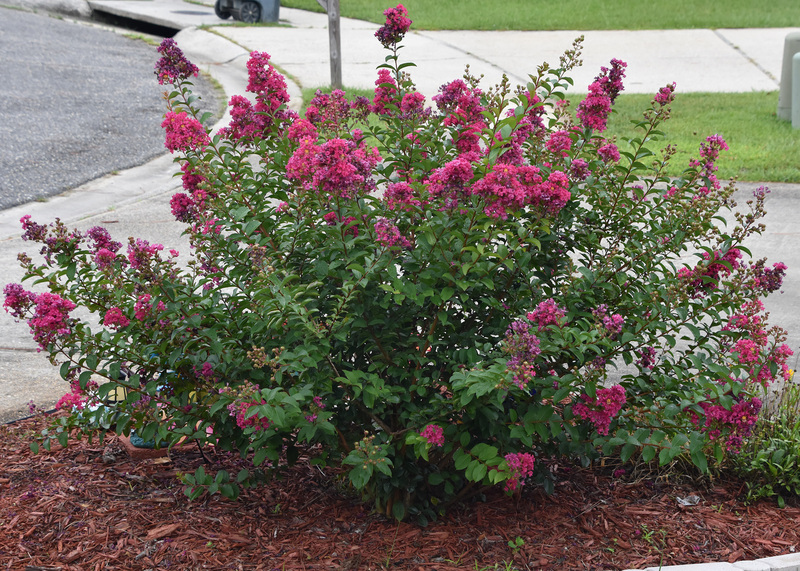 You don’t need to prune a crape myrtle to control its size. Instead, choose the right plant to fit the space. This is a step many gardeners neglect. For example, if you want a white-flowering crape myrtle, consider the mature height of these varieties: Pixie White, 3 feet; Delta Moonlight, 10 feet; Acoma, 14 feet; Byer’s White, 20 feet; and Natchez, 30 feet. There are similar sizes available for all of the crape myrtle colors. So, decide what color you want, and then find a variety that grows to the correct height for your space. 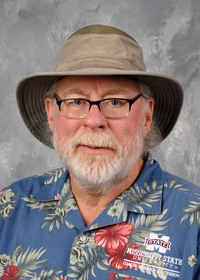 My last advice is to be on the lookout for a new threat to our beloved crape myrtles. 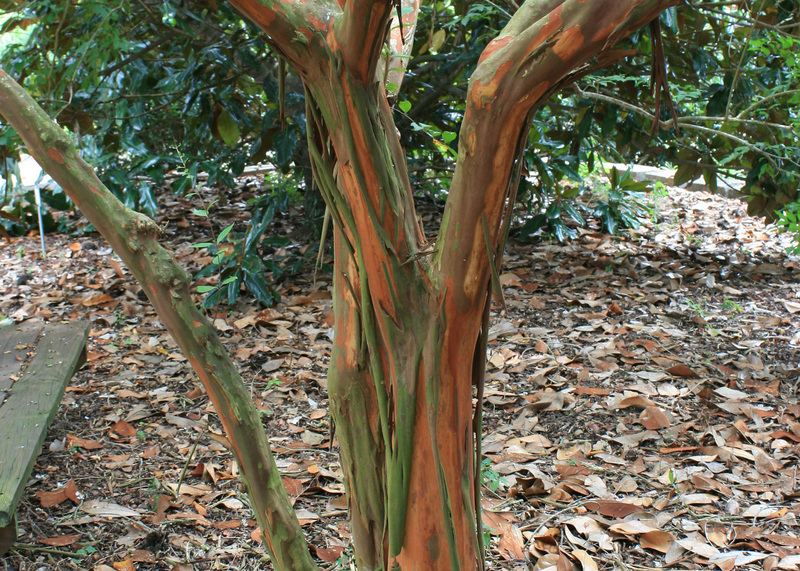 Crape myrtle bark scale, or CMBS, is a relatively new, imported insect pest first reported in 2004. If you have this pest, the first sign you might see is the presence of a lot of scaly, flaky, black, sooty mold on the tree itself. CMBS exude a sticky “honeydew” that rains down on anything below. I’ve experienced this falling honeydew, and it feels like being out in a fine, misting rain. You can treat for CMBS by applying systemic insecticides to the plant root zone during May and July. Systemic insecticides include dinotefuran (Greenlight Tree and Shrub Insect Control with Safari) and imidacloprid (Bayer Advanced Garden Tree and Shrub Insect Control). Allow several weeks for these insecticides to work because they must spread through the plant.